Double Beijing Olympic medallist Hayden Roulston will make a return to the track next month in his bid for selection to the 2016 Rio Olympics - and Southland is well represented with Eddie Dawkins, Natasha Hansen, Kirstie James, Cam Karwowski and Nick Kergozou all featuring. Roulston, who has not competed on the track for seven years, has been named in a 17-strong New Zealand team to contest the Oceania Continental Championships in Invercargill next month. The championships will provide direct entry for winners to next year’s world championship, which is a vital stepping stone towards the Rio competition. 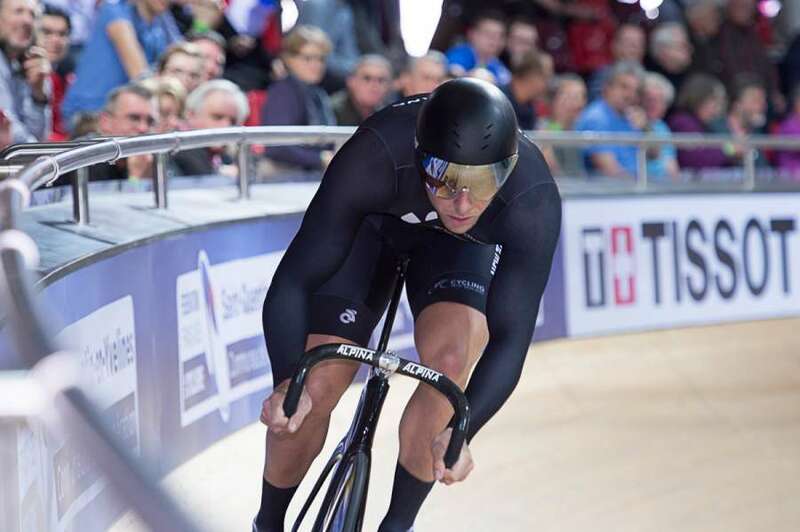 The New Zealand team, announced by Cycling New Zealand today, is a mix of current elite squad and development riders for the four-day competition from 8-11 October at the SIT Zero Fees Velodrome. The team includes the current world championship silver medallists Sam Webster, Eddie Dawkins and Ethan Mitchell (team sprint) and Matt Archibald (1000m time trial); Olympic bronze medallist Simon van Velthooven (keirin) and 2013 omnium world champion Aaron Gate. Roulston, 34, currently a World Tour professional with Trek Factory Racing, has indicated to Cycling New Zealand head coach Dayle Cheatley that he wants to dedicate himself to track competition with the aim of selection for the Rio Olympics. “Hayden is a very experienced and decorated athlete on the track and road,” said Cheatley.“He has delivered for New Zealand at multiple events and we welcome him back into the team for Oceania Championships. The Oceania competition is an important qualifying event for Olympic and World Championship points, especially for the individual events at the Olympics – the sprint, keirin and omnium. Cheatley said the world champion team pursuit combination, just back into full training following a long build-up in Europe, will come into reckoning especially for the second UCI World Cup in Cambridge in December. Gate returns following his European campaign, recovered from a broken shoulder, to face an important omnium competition at Invercargill, where the winner receives an automatic spot for the world championships. Roulston will be the experienced hand in a young combination in the team pursuit with Manawatu’s 2014 junior world champion Luke Mudgway, fellow teenager Nick Kergozou (Southland) and 24 year old former junior world champion Cam Karwowski (Southland). The women’s sprint team for the Oceania Championship features the return of Southland’s Natasha Hansen and Otago’s Katie Schofield. With Commonwealth Games riders Rushlee Buchanan, Georgia Williams and Jaime Nielsen on professional road contracts at present, Olympic rider Lauren Ellis spearheads the women’s endurance squad. Male, sprint: Eddie Dawkins (Southland), Ethan Mitchell (Auckland), Sam Webster Auckland). Endurance: Aaron Gate (Auckland), Cam Karwowski (Southland), Nick Kergozou (Southland), Hayden Roulston (Canterbury), Luke Mudgway (Manawatu). Female, sprint: Natasha Hansen (Southland), Katie Schofield (Otago). Endurance: Lauren Ellis, Kirstie James (Southland), Alysha Keith (Otago), Liz Steel (Canterbury), Pip Sutton (Waikato).